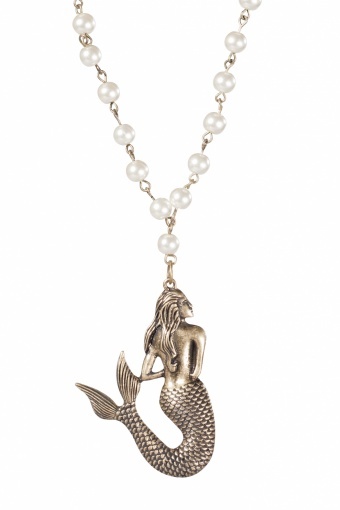 Treasure Island's Mermaid pearl necklace. 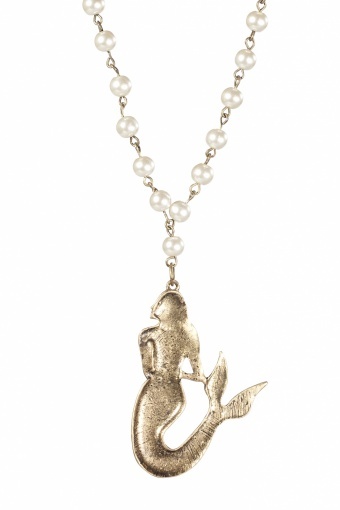 Very romantic pearl necklace with mermaid pendant in antique look bronze metal (nickelfree). 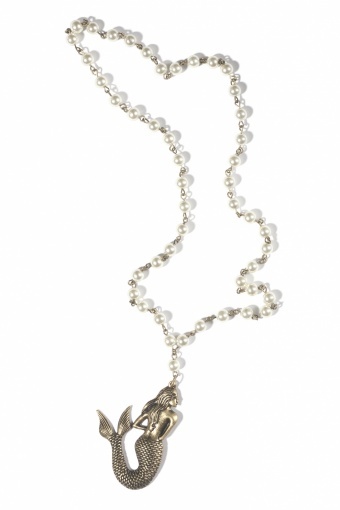 The mermaid is stunningly shaped and finished.